1) Planning, Development, Design and Sales of Cabinets, Plastic Module, Trolleys and Instrument for Hospital Use. 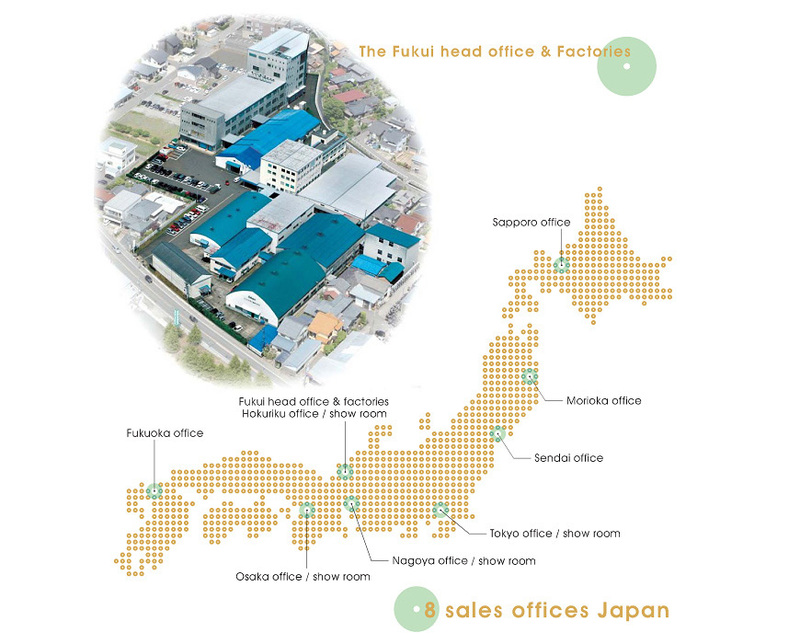 Sakase's sales network covering wide area of Japan makes it possible to respond to customer needs quickly. It is convinced that the development of IT technology narrowed the distance between manufacturer and customer. and however it is not more than proceeding talks, look-ing the customer in the face. Sakase Places importance in conversation with the customer as much as possible. With 8 sales bases Sakase actually covers the main areas of the whole country and recognizes well that it is not enough yet. Consequently Sakase continues to maintain constant efforts in order to obtain more trust of customers and responds quicker to customer's needs.